As a parent, you do have the power and ability to help your kids improve reading skills. Now what I mean here is that you as a parent can help your child whether they have an identified learning disability, dyslexia, ADHD, or are gifted. There are 4 easy to implement activities that take just a few minutes a day to improve reading skills. Last week I wrote about reading fluency, the first of 4 Easy Activities to Improve Reading Skills (Part 1). Today I’m going to talk about the second activity which is helping your children improve their reading – practicing spelling with the 8 spelling patterns. So, the second of the 4 easy to implement activities to help your child improve their reading and writing skills is spelling. One aspect of reading is called decoding – the ability to sound out words. Another aspect is called encoding – the ability to spell the words you hear. This decoding and encoding ability really go hand-in-hand. Your ability to sound out words you see and then spell words you hear incorporates both visual and auditory processing skills. So, phonemic awareness and phonics come into play. Being a successful speller impacts your writing. People may not understand your writing if you misspell your words. Unfortunately, people may judge you on the way you spell. When my daughter was in the 6th grade we moved from one school system to another. Her new teacher couldn’t understand how she could have been in a class of gifted students in her prior school when she could spell worth anything. I had to ask him to look at the ‘vocabulary’ she was using, even though many of the words were misspelled. After several weeks he finally understood that the fact my daughter was bright even though she had a spelling disability. It is a part of phonological awareness. Phonemic awareness instruction can help preschoolers, kindergartners, first graders, and older, less able readers. The most important forms of phonemic awareness to teach are blending and segmentation, because they are the processes that are centrally involved in reading and spelling words. Phonemic awareness can be taught and learned. Phonemic awareness can help students learn to read and spell. The relationship between phonemic awareness and learning to read and spell is reciprocal: having phonemic awareness helps children learn to read and spell; learning to read and spell words by working with letter-sound relationships improves children’s phonemic awareness. Learn more about phonemic awareness. We have two solutions to improving reading skills through spelling. Making Spelling Sense teaches the 8 different ways that we put letters together to make words – the 8 spelling patterns with an auditory, visual, and tactile method. 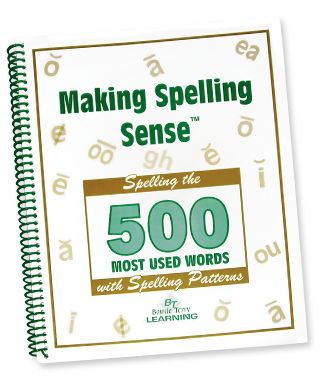 This special method is what really makes the difference because it addresses the underlying causes of spelling problems. Each week you will learn a set of 10-12 words according to their spelling pattern in an auditory, visual and tactile/kinesthetic way. You also get quick 5-10 minute puzzles for each set of words to reinforce the spelling pattern that you are working on that week. This method helps you build your phonemic awareness. By learning to spell through the spelling patterns, you learn the structure of the English language and will be able to spell thousands of words. The second is our Awaken the Scholar Within Spelling and Phonics Program. Problems with learning spelling are typically caused by one or more areas of perception that impact learning. In this ASW Program, you address those areas of visual, auditory, and tactile-kinesthetic perception. You will learn the skills you are missing in 20 minutes a day with simple video lessons and activities. In this program, Bonnie Terry teaches you every step of the way with over 50 video and/or audio lessons. You learn the 8 different ways that we put letters together to make words. There are practice and application lessons built in. You also improve 22 of 27 areas of perception that impact learning from the process we use. 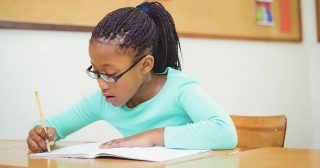 This program includes reading fluency drills with 5 Minutes to Better Reading Skills as well as Making Spelling Sense I and Making Spelling Sense II.